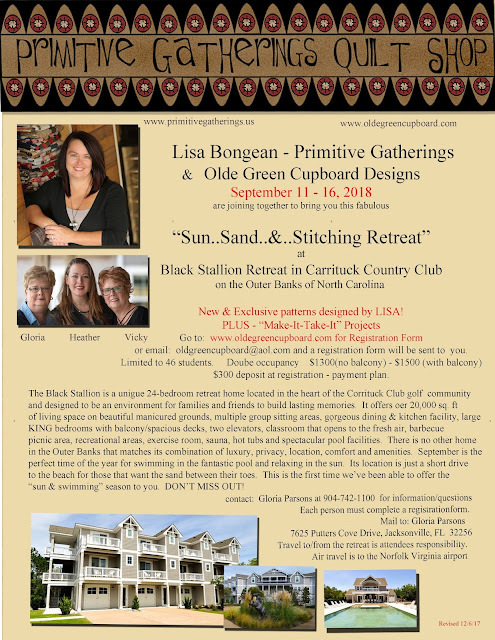 for new and exclusive patterns designs special for you for this retreat. We will stay in the Black Stallion. This 20,000 sq. ft. home has 24 bedrooms to share and plenty of space for us all to soak in the moments of sun, sand & definitely some fun stitchin'! so don't hesitate on sending in your deposit now. Seriously.... you won't want to miss all the fun!!! !